Several thousands books have been written worldwide on the healing power of the mind. 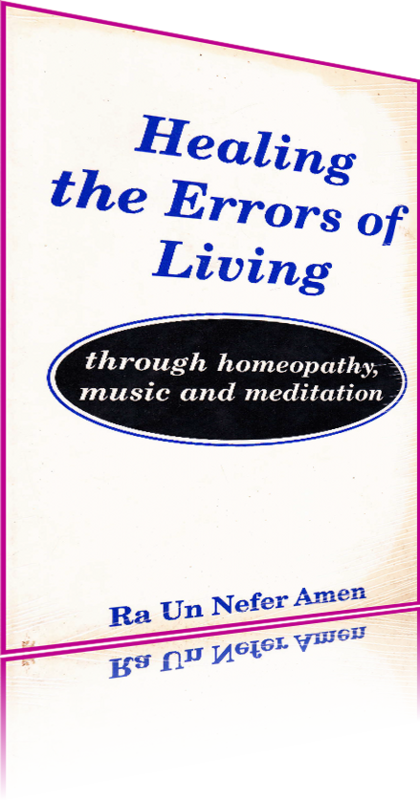 Finally there is a book that thoroughly explains all aspects of the subject and gives the reader a complete set of guided meditation to reestablish and maintain optimum health. You will acquire a thorough understanding of the workings and interactions of your will, spirit, mind and body as taught in ancient spiritual traditions, as well as the secrets of psychotherapy. All that youhave to do is to study the easy to understand principles in the book and relax with the guided meditations CD as your mind, spirit and life force automatically do the work to set you on the healing path of love, peace, joy and happines. Women attest to the dance’s easy, inexpensive, non-strenuous total body workout that requires no previous dance experience. Testimonials include toning of the stomach and uterine muscles, improvement in breathing rates and blood circulation after less than fifteen minutes of daily practice. These reported results accompany a release of tensions that masquerade in women’s lives as anger, grief, depression, loneliness, and fear. These and other tensions are the root of many chronic illnesses. Tension feeds illness while relaxation nurtures total mind-body wellness. Testimonials also include improved menstrual cycles, increased fertility, decreased fibroids, enhanced creativity, high tolerance levels for everyday challenges, general optimism and harmony in relationships. 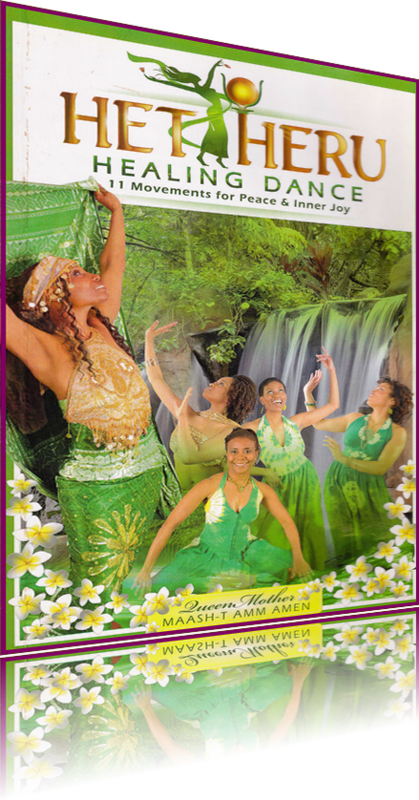 Now you too can harness your own tremendous healing power as you relax and experience the ecstasy of the Het Heru Healing Dance. For thousands of years, the true meaning of the symbols of Kamitic (ancient Egyptian) spiritual texts has remained a mystery. No more. In this book is revealed for the first time, through very concrete explanations, the deepest mysteries of the sacred religious teachings that laid the foundation for all of the world's major religions, philosophies, and sciences. In this book, a landmark indeed, you will find the ancient keys that have eluded Egyptologists for ages. 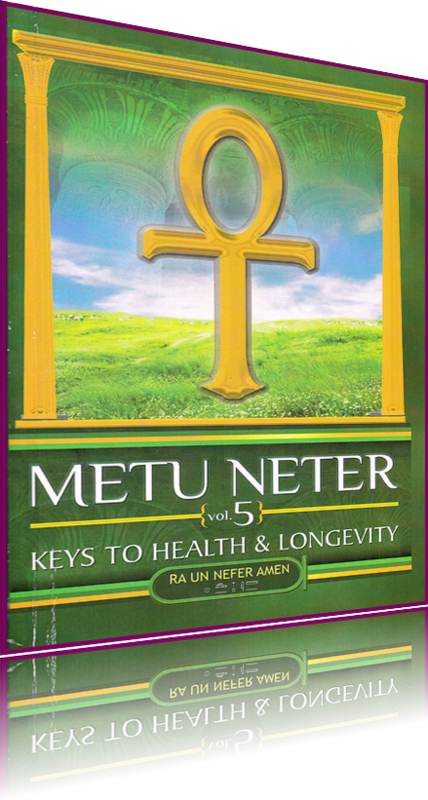 You will learn how to objectively evaluate every belief, method, and spiritual measure that can be taken in a given situation in life by way of the Metu Neter Oracle. 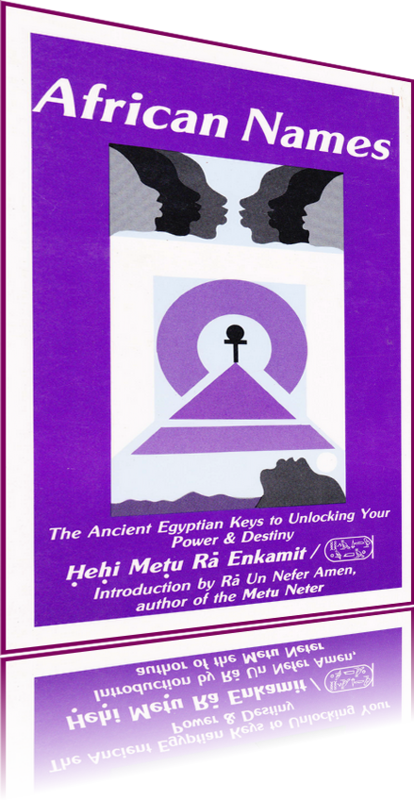 You will find in this book, for the first time, a complete step by step guidance to achieving spiritual perfection, and a successful life, based on the Kamitic (ancient Egyptian) initiation system. It is a system that addresses and answers those fundamental questions that students on a spiritual path have asked, and have gone unanswered. "How do I know exactly and objectively where I am in my spiritual growth?" "What is the next step, and the next?" "How much progress am I making, and how do I know when to move on to the next level?" Success through spiritual means is the essence of spirituality as far as life on earth is concerned. We all know that however useful it is to cultivate our earthly resources - education, financial know-how, contacts, credentials, etc. - they are not enough. 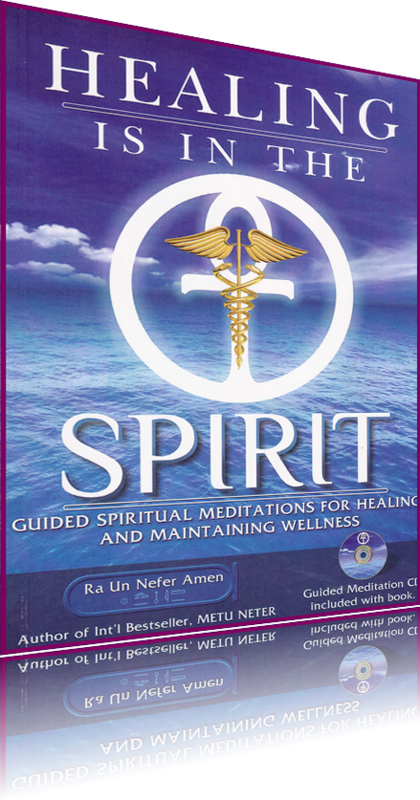 We were given a great resource - the power of the Spirit. This book guides the reader step by step in the science of uniting with God and developing his/her divinity as the key to success in life. 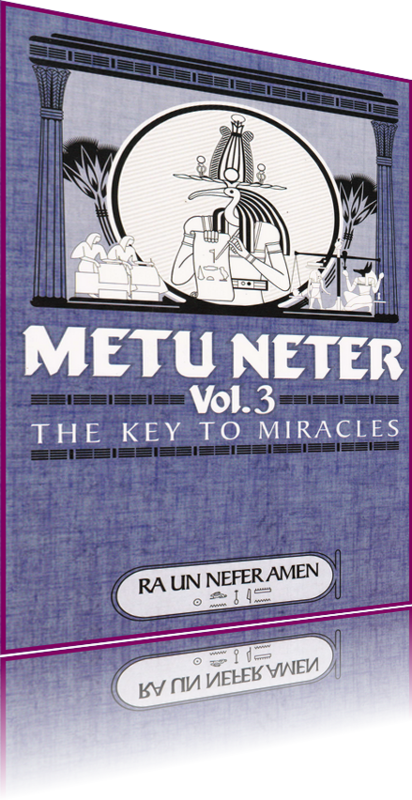 Because the system relies heavily on the great oracle of Kamit - the Metu Neter - the reader will also acquire the ability to coach others to acquire the skills of living as God intended - relying on the power of the Spirit - the miracle worker in us. The Initiate's Daily Meditation Guide. You cannot realize your divinity from your understanding of spiritual principles, however well you have understood. Realization of divinity depends on the establishment of 11 divine Laws-Maat-into the mind and life-force of the initiate to give them spiritual power of realization. They must be placed into the mind In a specific order as they are interdependent And at a specific time of the year according to the receptivity of the spirit (Ra) which must provide the spiritual vehicles for their manifestation. All health scientists are in agreement that the stress of emotions—fear, anger, worry. Grief, guilt, depression—is the chief underlying cause of ill health. It is what in spite of a good diet and healthy lifestyle will make you vulnerable to infectious disease, cancer, and all degenerative illnesses. And with all the many challenges in this modern world there is no wonder why illnesses induced by stress are so rampant and increasingly so. Yet, man was designed to meet all challenges of life with peace and joy. 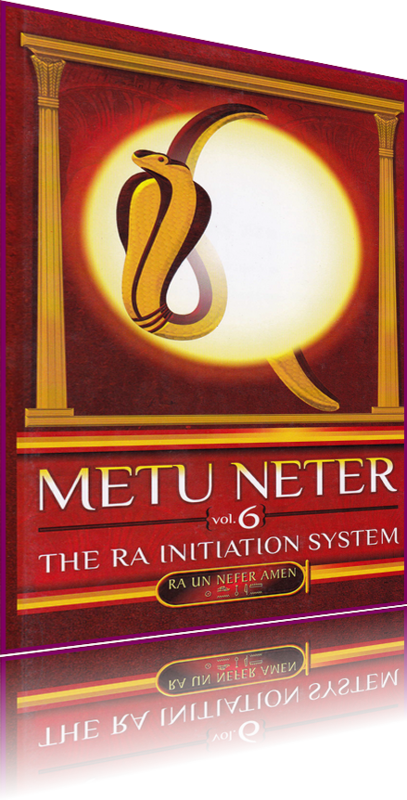 Ra Un Nefer Amen gives a detailed step by step instruction on how to apply the Metu Neter—11 laws of God—to achieving the state of energy called Hetep, Nirvana, Shalom, Salaam, Wu Ji in various spiritual traditions. It is the state in which man transcends all possible stress reactions to challenges and establishes thus a permanent peaceful and joyful response that brings about the healing of existing illness, maintenance of health and the realization of longevity. 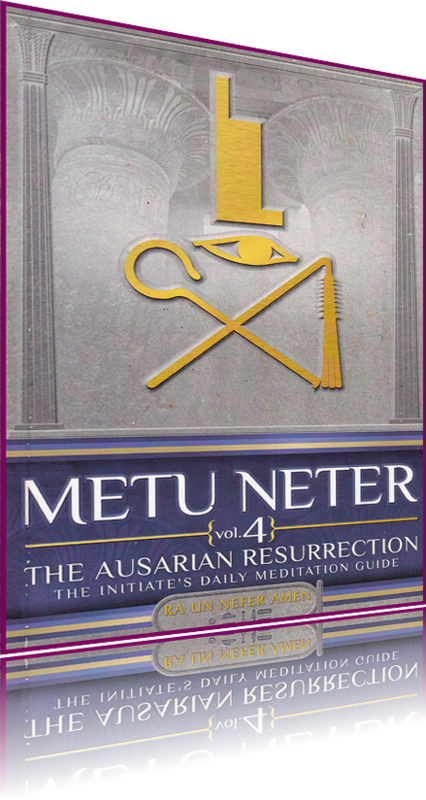 Metu Neter, volume 5 is accompanied by a guided meditation CD. 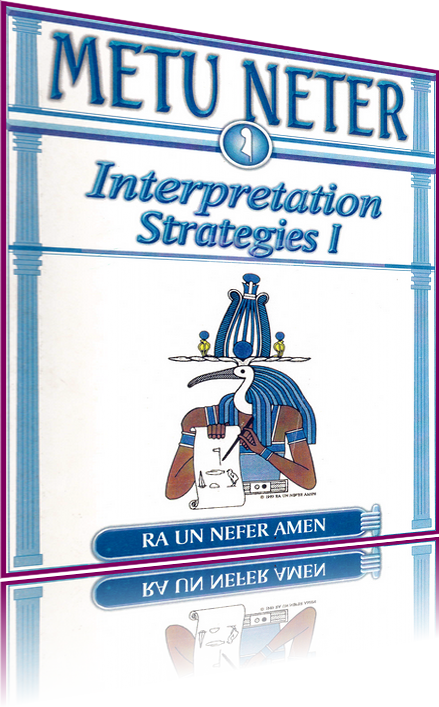 Ra Initiation gives 72 ancient words of power (hekau, mantras) that have been used for over 6000 years by initiates of the major Black civilizations for awakening and developing the faculties of the spirit, and the brain. The knowledge of how to awaken talent and genius in people was the means through which these civilizations (Ancient Egypt, Black India, Sumer, etc.) forged ahead of all others. It is what enabled them to originate and excel in mathematics, geometry, science, writing, literature, astronomy, astrology, medicine, architecture, art, government, religion, and much more. This knowledge was transmitted to the West, but had to go underground to avoid persecution from the Christians, but now that times have changed, you can avail yourself of it to awaken your talent, genius, and for your spiritual protection, success and much more. 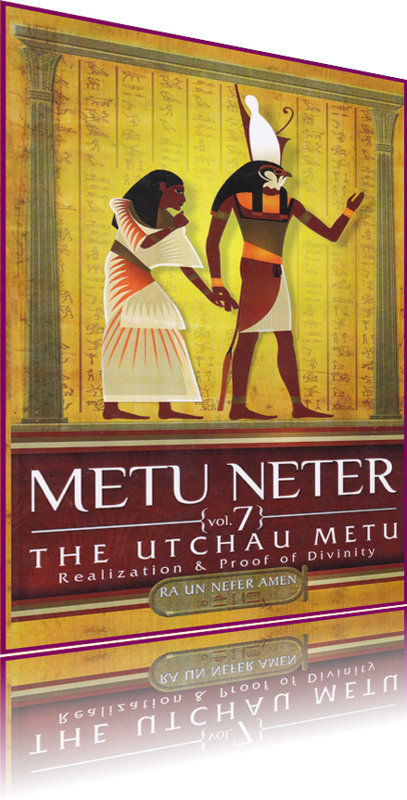 The Utchau Metu - Weighing of Words and the Will is the chief spiritual development procedure employed by the Ancient Egyptians. It guarantees realization of divinity by providing an objective means of tracking progress and a standard for verifying the realization of the goal. Through this book, spiritual students can organize their spiritual development, plus track their progress and verify their attainment of spiritual perfection. The first and definitive Holistic approach to meditation. 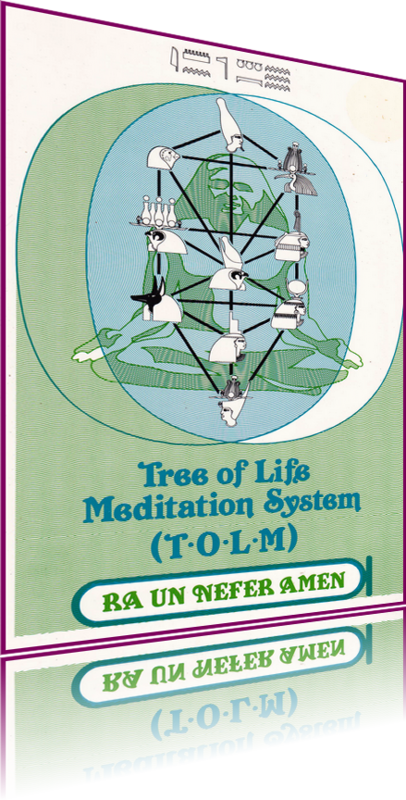 The Tree of Life Meditation (TOLM) System was developed out of the spiritual understanding that there are 11 faculties of the spirit shaping every thing that we do in life. In order, therefore, to guarantee and expedite our success, a spiritual or mental science technique must consciously address and engage all 11 faculties. All other self-help systems on the market (TM, Hypnotherapy, Positive Thinking Affirmations, Creative Visualization, and most Yogic Meditations) address only one and at most three of these 11 faculties - hence, their partial or reversible successes. Because it is a holistic approach to meditation, TOLM integrates your worldly pursuits - career, family, finances, recreation, health, etc. - into your quest for spiritual realization. It is based on the axiom that we come to earth to develop ourselves spiritually, and that spiritual abilities are the chief means of success in life. In TOLM, there are no conflicts and oppositions between Man's spiritual and worldly needs. 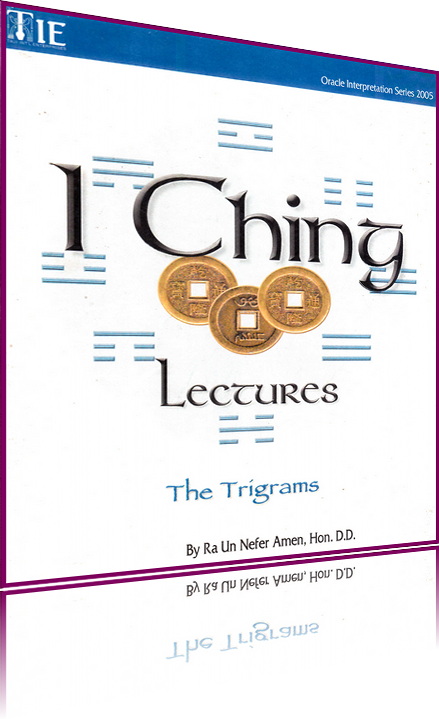 This book will teach you how to recognize the qi gong exercise that can be prescribed as part of a healthy lifestyle and good medical practice in the treatment of common health disorders-high blood pressure, diabetes, menstrual disorders, menopausal disorders, anemia, headaches, asthma, bronchitis, chronic fatigue, low blood sugar, peripheral artery disease (PAD), viral and bacterial infections, arthritis, prostate problems, endometriosis, sexual dysfunctions (low libido, impotence, etc. ), incontinence, cancer, and so on. 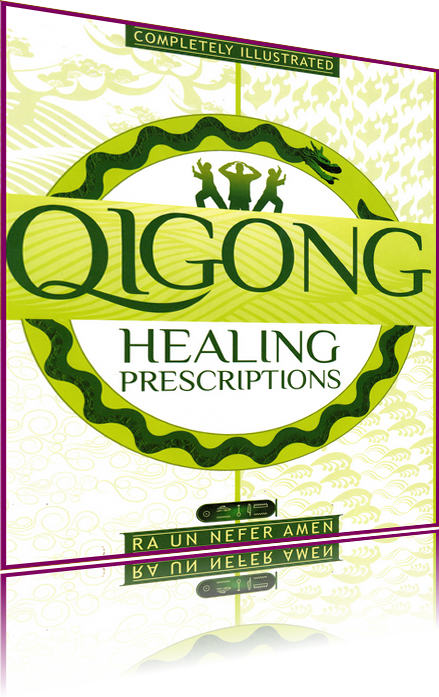 You must think of each exercise that is a part of a Qi Gong system as you would think of each remedy in a pharmacy, or herbal supplement in a health food store. You do not take all of them. You take only the ones that you need. Most Qi Gong systems and books on the market fail to make the distinctions that will enable you to do this, and as a result you have to perform all of the exercises in the set and fail to focus on the ones that you need the most. Since each exercise in the set focuses on an organ and energy system, you would want to focus your attention on the ones that are compromised. This is the only book that is available for the beginner and most advanced Qi Gong students that enable them to do just that. Traditional Chinese Medicine (acupuncture, herbal therapy, dietetics, etc.) is based on the five organ theory-the interrelated activity of the kidneys, liver, heart, spleen, and lungs. Their well-being depends on a constant optimum supply of blood and Qi (life force). Tree of Life Qi Gong is a system that integrates meditation, movement exercises, and breathing to regulate and optimize the flow of Qi to reach the organs and their associated energy channels. Through the integration of body, mind and spirit, you will quickly enjoy increased vitality, libido, immunity, positive emotions, mental performance (reasoning, imagination, etc. ), freedom from negative emotions (fear, anxiety, worry, grief, sadness), improved sexual performance, weight management and more. Man's thinking, emotional behavioral patterns, actions and destiny are governed by 11 principles and influences that emanate from his/her spirit (subconscious). The cause and effect relationship between these influences and man's behavior are as immutable as the forces operating in nature. Their activity is therefore subject to the same type of law as those that have been framed in the physical sciences. The knowledge and application of these laws to daily living will secure for the initiate results in life as sure as a scientist gets water from combining 2 atoms of hydrogen with 1 atom of oxygen. 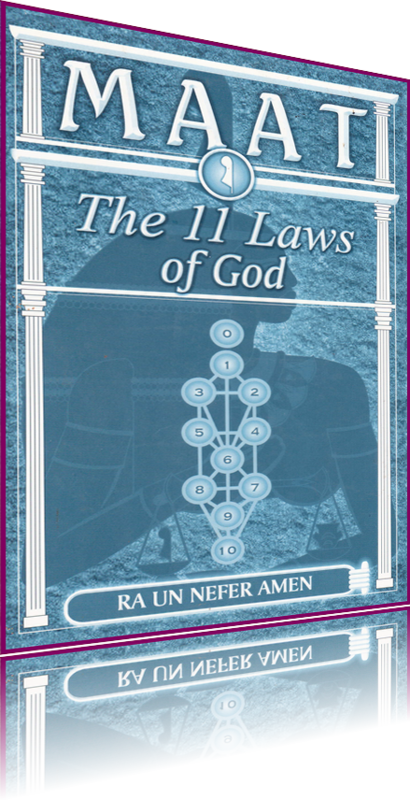 In this book the author, Ra Un Nefer Amen, shares the revelations he has received concerning the laws governing the principles and forces - correlated with the Tree of Life - that influence and govern people's lives. By observing them, any spiritually mature person will gain access to wisdom ual power, and thus serve as a vehicle for the manifestation of god in the world.and spirit. How and why were the ancient Egyptians able to lay the foundation for civilization? Thousands of years before all other civilizations appeared on the horizon of history, the ancient Egyptians were able to intuit mathematics, astronomy, geometry, writing, medicine, government, religion, philosophy, literature (plays, the novel, poetry, sonnets), harmonic music, and much more-and pass it to others. 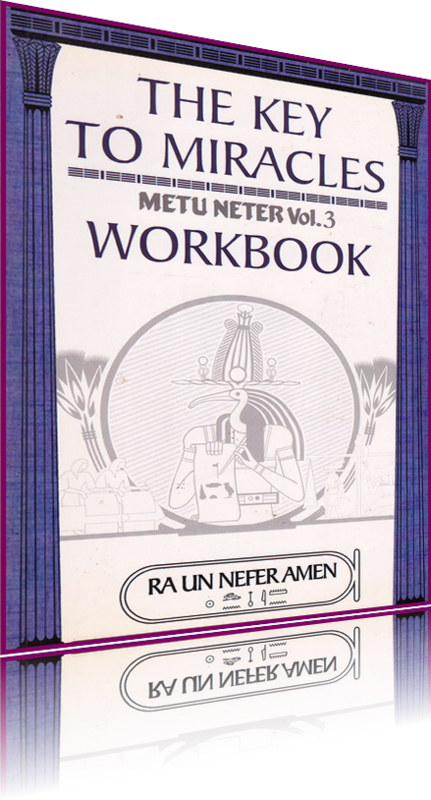 In this book, Ra Un Nefer Amen presents in workbook fashion, a step by step application of the spiritual wisdom employed by the ancient Egyptians to build their magnificent civilization. 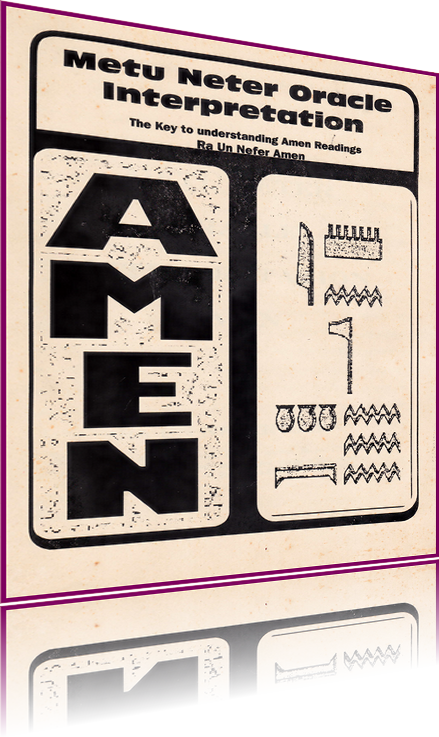 Unlike other "success" systems that give a sprinkling of spiritual principles as the chief means of attaining success, Amen presents the entire Kamitic system in a manner that is accessible to readers of all walks of life. In the same manner that the Jews have their Bible, the Christians theirs, the Muslims their Quran, the Hindus their Vedas and Bhagavad Gita, and so on, so did the Africans-the ancient Egyptians-have their Holy Scriptures. They read and studied them daily to strengthen their spiritual and moral life, which resulted in the optimization of their intellect and genius that culminated in the building of the oldest and one of the greatest civilizations in the world. That Kamit (ancient Egypt) produced Holy Scriptures has been concealed from the world by one of the greatest disinformation campaigns waged by Egyptologists. The theme and contents of the greatest of the Kamitic Scriptures dealt with man's divinity and gave the outline of the teachings and methods that can be used for the realization of the divine potential in man. We are living at a time that is witnessing a great interest in Kamitic spirituality. A great number of people are turning to it with the hopes of finding the spiritual nourishment that they have not been able to get from other sources. 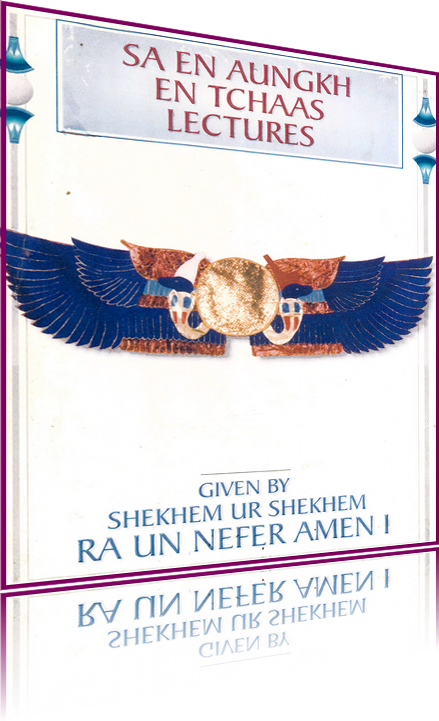 In the presentation, the most important book to have come out of ancient Egypt, you will find a Holy Scripture that will provide the sought for nourishment. Read it daily, analyze its content and make its lofty teachings the subject of your daily meditations and self-contemplation. In this book the author looks at male - female relationships as they have never been looked at before. He traces over a period of 4000 years, the historical development of the ideas and customs that shaped the nature of our relationships today - for good and for bad. You will learn why the oppression of women sanctioned by governments and religious organizations in the west for the past 4000 years has kept the west from developing a wholesome family institution. You will learn how you and your mate can put yourself through a Rites of Passage program that will help you to correct the common mistakes that are responsible for the official 50% divorce rate today. Not all behavioral problems originate in our psychological make-up. Many mental and emotional dysfunctions arise from disturbance in our life force (Qi, Kundalini, Ra force, etc.). True to its portrayal as a holistic medical system, Homeopathy shows the relationship between mental, emotional and physical disorders as they arise from the disordered state of the life-force. This is an alternative view to the phychosomatic theory of illness. 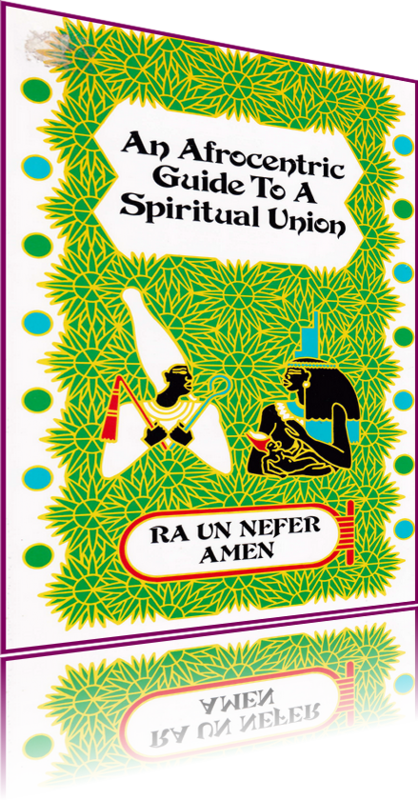 In this book, Ra Un Nefer Amen teaches you to recognize the effects of the common mistakes we make in life - excessive mental work, excessive sexual indulgence, too much caffeine, sweets, insufficient sleep, etc. - and the characteristic symptoms that act as pointers to the applicable homeopathic medicine. This book is an excellent introduction to homeopathy as well as a valuable guide to professionals in the field. You will learn to safely correct such common problems as emotional instability, concentration difficulties, poor memory, sexual dysfunction, digestive problems, headaches, etc. More than just a collection of African Names, this book provides you with the spiritual philosophy behind the importance of the name. The African centered approach to life demands our being connected with God, our Ancestors, the yet unborn, and each other. 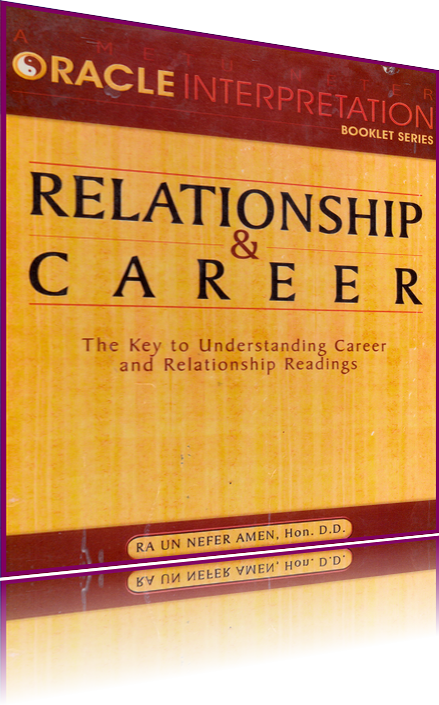 This book shows you how your Name is a vital link in your establishing and maintaining that connection. Our ancestors in ancient Kamit (Egypt) left an invaluable epitaph in "Know Thy Self". This book shows you how to identify "Thy Self", tap into the Divine Intelligence and Power within, and choose a name to guide you in your quest for "Self Knowledge". In this book you will also learn how to determine your purpose in life and how to choose a name which will help you to achieve that purpose. You will see how a name, if it is chosen correctly, can serve as a motivational force propelling you toward success in life by unifying your experiences with others in the Divine Plan. The King, Ausar, has been killed by his evil brother Set, and with his death, God's greatest revelation for the salvation of mankind has been lost. 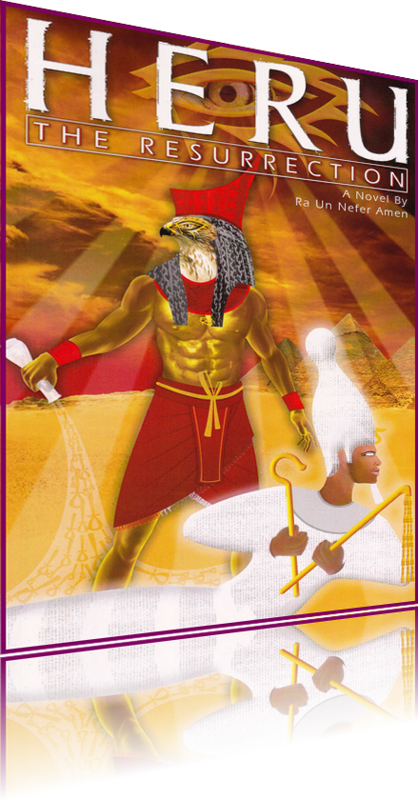 Relive the dramatic and magical efforts of his wife Auset, and the heroic adventures of his son, Heru, as they battle Set to reclaim the kingdom, and to restore the world saving spiritual teachings of Ausar. Heru: The Resurrection is an epic saga that dramatically brings to life the Ausarian tradition-the most important spiritual system of Ancient Egypt. 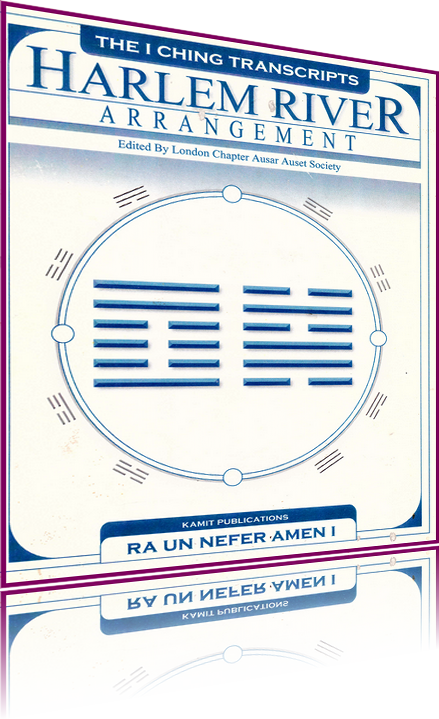 Ra Un Nefer Amen reveals for the first time to the world, ancient Chinese secrets that have been kept secret by religious sects and elite martial dojos for the past four thousand years. You will learn how to use simple and effective exercises, diet, herbs, and self-massage to acquire the mental, emotional, physical and spiritual abilities of successful people. Whatever are your shortcomings-anger, lack of self-control, etc.-they will begin to be things of the old you after six weeks of six weeks of serious application. You will find the teachings in this book applicable to any and all of your interests in life as they are all enabled by your Qi (Life Force). This book is for everyone, yet it will be of special interest to professionals in the holistic healing field, psychologists (clinical and theoretical), philosophers, priests, educators, martial artists and athletes, performance artists, business professionals, and students on all levels. Over the last 100 years western historians have advocated the belief that Greece and therefore Western Civilization owed nothing to Egypt for the development of their civilization. In doing so they created the myth that everything that was great in Greece in the realms of Mathematics and Science sprouted from the minds of Greek thinkers with no outside assistance or influence. And to further their lies they had to promote the Greek as the inventors of Mathematics giving them credit for the achievement of Egyptians and Babylonians and to make things worse they have totally denigrated the Egyptians and their accomplishment. 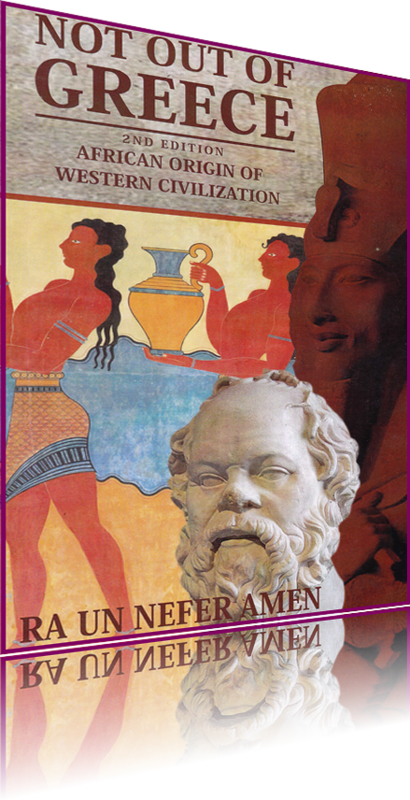 In this book, Ra Un Nefer Amen refutes their claim by quoting the work of eyewitness Greek to their formative years including the Greek philosophers-Plato and Aristotle, and by providing an in-depth analysis of mathematics, religion and logic that shows that not only were the Greek unable to accomplish many of the things historians claims for them, and that the Greek themselves were opposed to or admitted that they lacked the knowledge and skills. 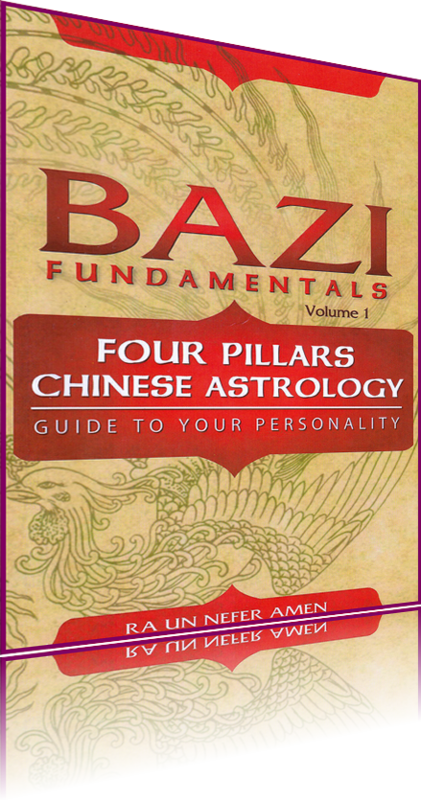 Learn the principles of Bazi or Four Pillars Chinese Astrology that will give you insight into the energies that shape the personality, ways of thinking, talents, emotional inclinations of a person. Through Bazi you will also learn to understand the kinds of challenges and opportunities that will come your way and how your spirit is programmed to meet them. 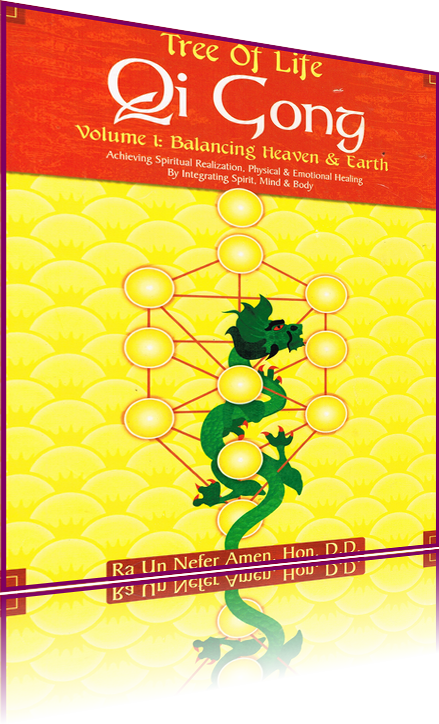 You will also receive directions on how to use Qi Gong to balance the sources of life problems—energy excesses and deficiencies as revealed by the Bazi chart. The book is written without complicated and perplexing traditional Chinese terminologies to make it easy to understand. The book is fully illustrated and includes example charts of celebrities to render the principles easy to understand. 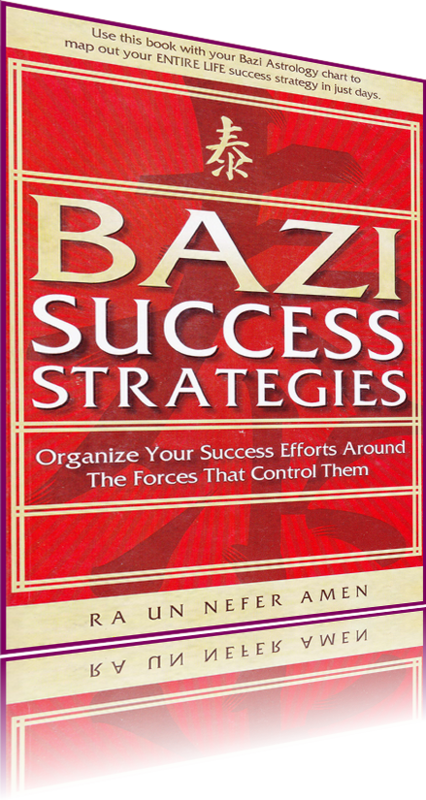 Ra Un Nefer Amen, renowned international author, introduces his latest book, Bazi Success Strategies. 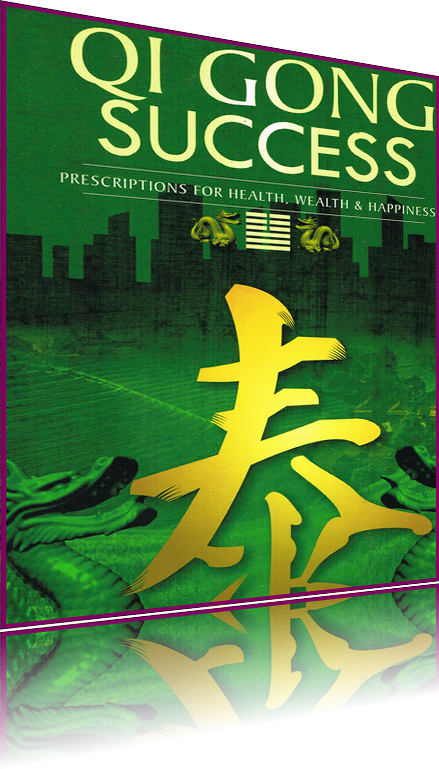 It is the first and only book on Chinese Astrology that enables one to gain control over the 10 modalities of the life force (Qi) which are responsible for manifesting all events in life. Without technical astrology know how you will be able to map out your ENTIRE LIFE success strategy within one to two days of reading the book. 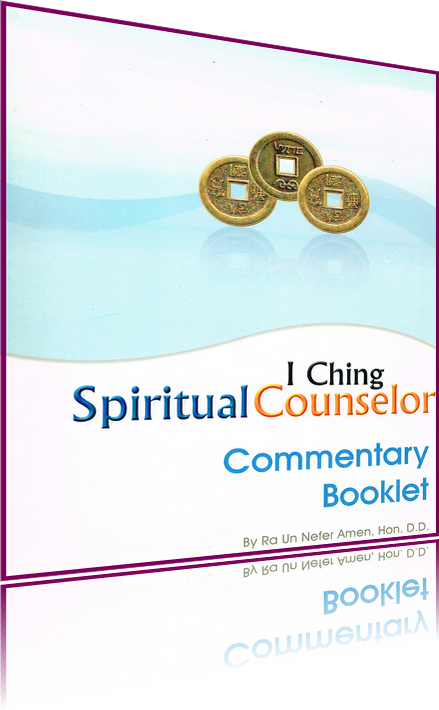 It is accompanied by a guided meditation CD with special sounds that are used in Qi Gong for guiding the life force for accomplishing your goals. The system is based on scheduling your life activities at the time of the availability of the energy that are specific to carrying them out. A methodical approach to using Bazi Astrology to assist in the prescribing of Qi Gong exercises and Chinese medical therapies. 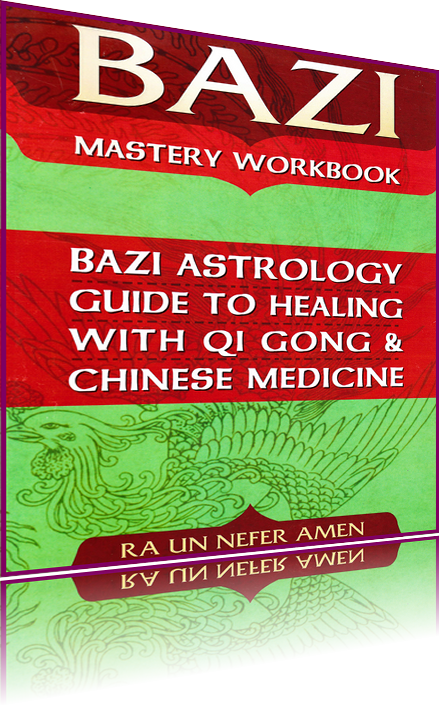 "Bazi Mastery Workbook: Bazi Astrology Guide to Healing with Qi Gong & Chinese Medicine" works with "Bazi Fundamentals" Vol. I to teach you how to discover your chi imbalances and to restore the balance through Qi Gong, Chinese herbs & Acupuncture. 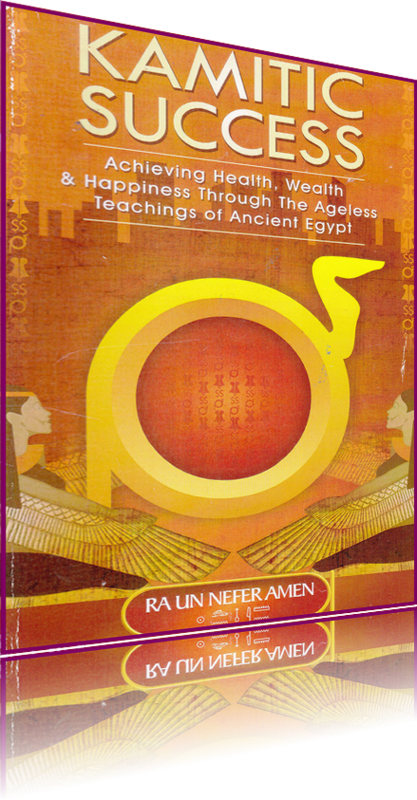 Ra Un Nefer Amen, the world's leading authority on Ancient Egyptian spirituality reveals in this book and accompanying guided meditation CD the Ra initation practices that will awaken and optimize your Het Heru faculty which governs your ability to be artistically creative, inventive, affectionate, romantic, accomodating, empathetic, pleasurable, etc. You will learn to intuitively preform at your best in your imtimate relationship, partnerships, social arena fellowship as well as heal your person and other through the joyful aura that you will enhance around yourself. 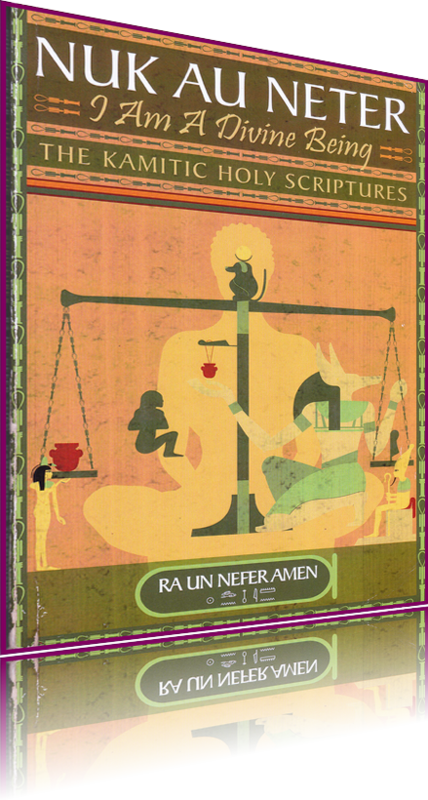 Ra Un Nefer Amen, Hon. D.D. The key to understanding Amen readings. 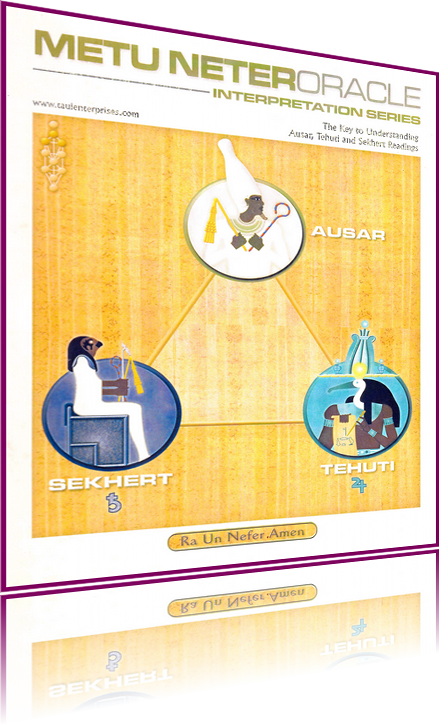 The key to understanding Ausar, Tehuti and Sekhert readings. 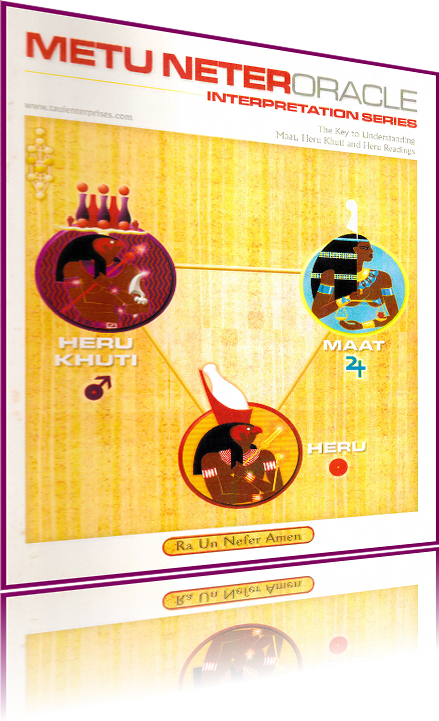 The key to understanding Maat, Herukhuti and Heru readings. 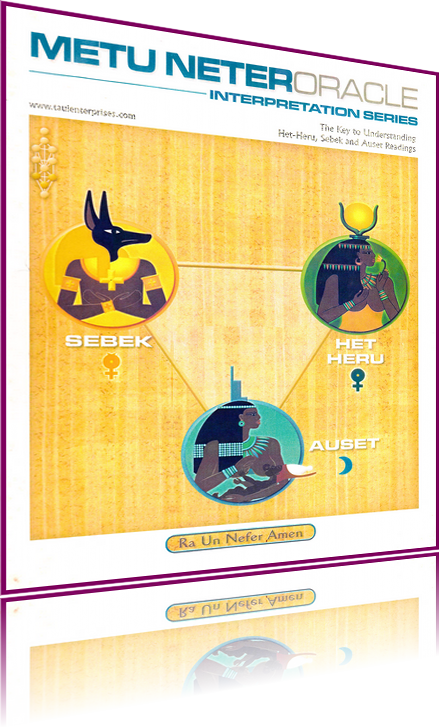 The key to understanding Het Heru, Sebek and Auset readings. 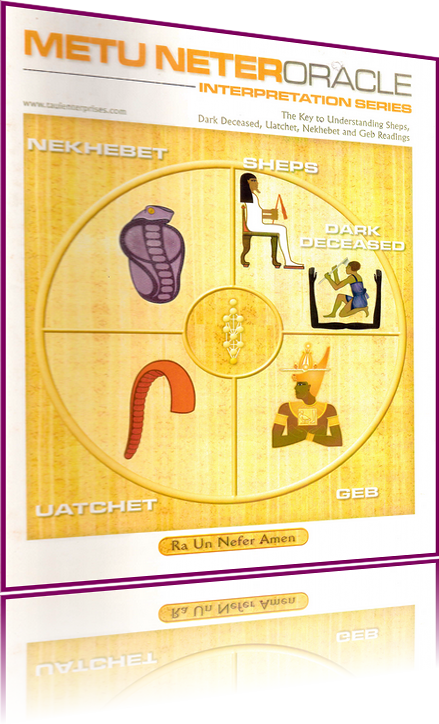 Interpretation Series : Geb, Sheps, Dark Deceased, Uatchet, & Nekhebet. The key to understanding Sheps, Dark Deceased, Uatchet, Nekhebet and Geb readings. 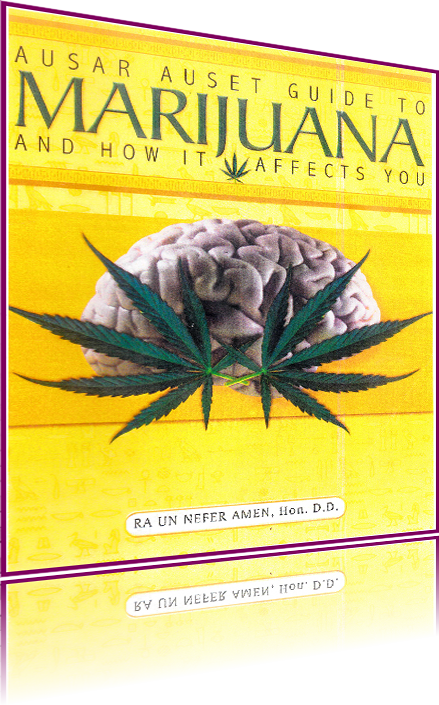 Marijuana And How It Effects You. 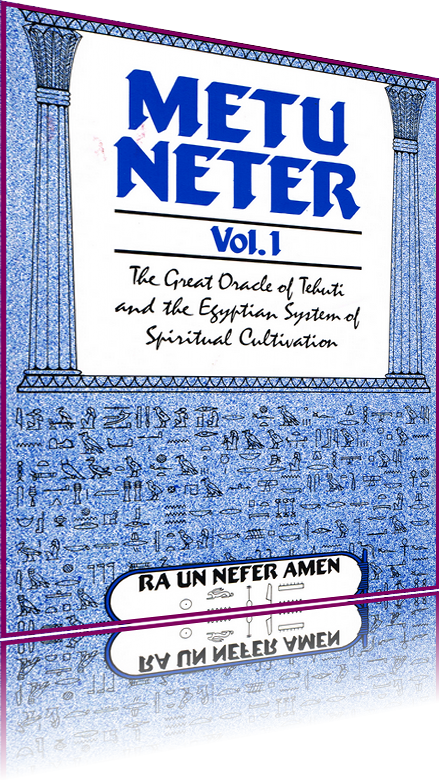 Ra Un Nefer Amen. Hon. D.D. Your brain is your greatest physical asset. Yet, due to the general lack of education about it, you, like most people, have unknowingly damaged it and are going through life unaware of the likely possibility that your ability to succeed and accomplish could be twice to ten times higher than your present level of performance. 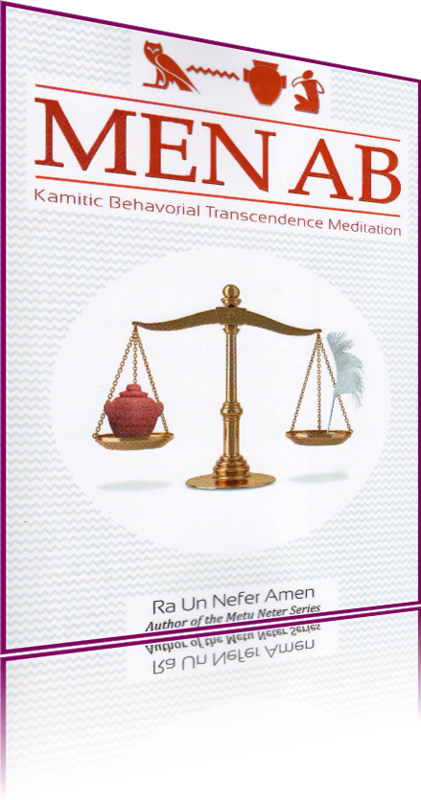 This book with its companion guided meditation CD will teach you to heal your brain and to enhance your performance in life. A Kamiticname for the forehead, location of the prefontal lobe, is khenti. A word that has tens ofassociations to Ausar, the foremost, and the highest. It is also the name for the Nubians; implications that they were the first to manifest the Ausarian teachings as a result of theforehead faculty. The Kabbalists call the forehead faculty the Ratzon upon which the Shekinah, the holy spirit, sits at the Sabbath. The forehead isalso the locus of the Ajna or the will chakra, residence of the mantra Aum. 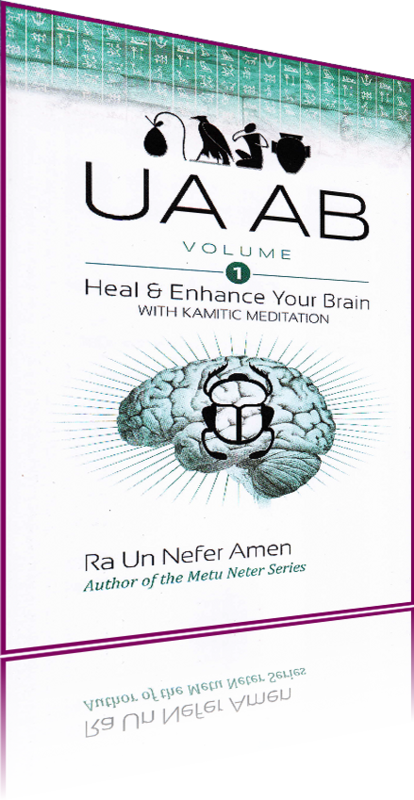 Men Ab is a Kamitic (Ancient Egyptian) meditation system that activates and optimizes the prefrontal cortex of the brain. Men Ab will greatly enhance your preformance in school, the job, your career, financial endeavors, relationships, healing, art, self improvemant, success in your enterprises and spiritual quest due to the fact that the prefrontal cortex is in charge of planning, empathy, morality, perception of the future consequences and implications of your actions, and psychic and spiritual powers. The prefrontal cortex corresponds to the Ajna (third eye) chakra of Yogic Science and the khenti, the seat of man's divinity in Kamitic spirituality. 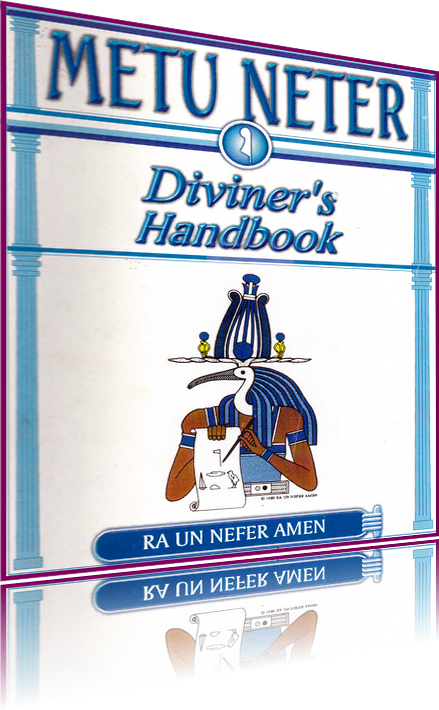 Ra Un Nefer Amen, Hon.D.D. After 3000 years the I Ching, China's greatest book, was finally introduced to the Western world,but has remained a veild in obscurity because of its perceived cryptic and difficult nature. Not any More! 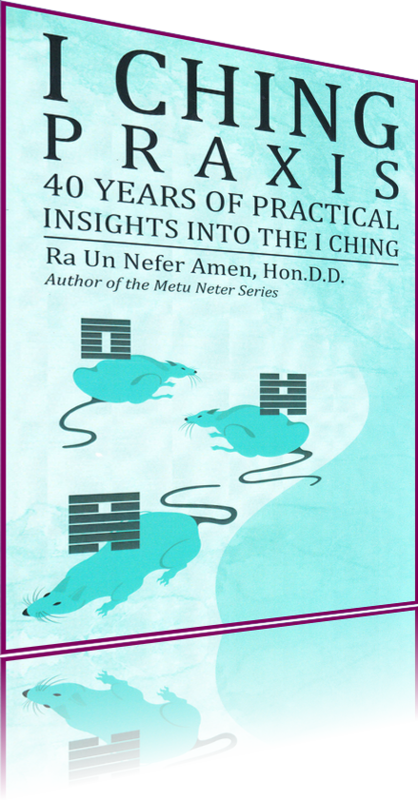 In the I Ching Praxis, Ra Un Nefer Amen clarifies it and shares his insights from teaching it and counselling over the past 40 years, as well building an international spiritual organization with its assistance. Now you too can enhance your life by receiving infallible answers and guidance to your questions concering relationships, business, family, legal issues, career, investments, health and so on. You can now put into your hands the keys to becoming a spiritual advisor to yourself and others, especially if you are a professional counselor, psychologist,educator,lawyer,etc. Stress is the greatest and leading contributor to degenerative illnesses, mental disorder, criminal behavior,suicide,lowered intellectual and emotional performance, failure in all areas of life, and the cruelties and injustice that abound in the world. Mr. Amen shares the insights he has gained on the subject through his 40 years of research, and successful counseling of clients and students all over the world. He combines the laest findings of neuroscience with ancient practices of meditation to bring you an effective and proven method for eliminating stress from your life. 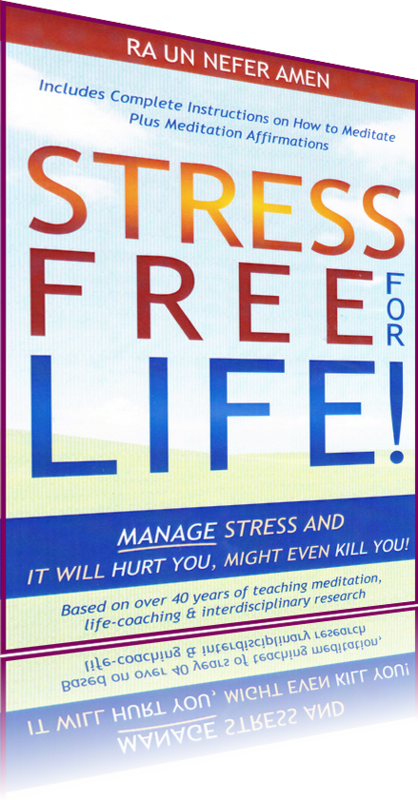 Stress management is nothing more than the appplication of a bandage on a cancerous lesion. Would you manage the pain from sitting ona track? Or would get up and remove it? It's time to reclaim your power, health, sanity and wealth and do your part for bringing forth the kind of world that belongs to us all. 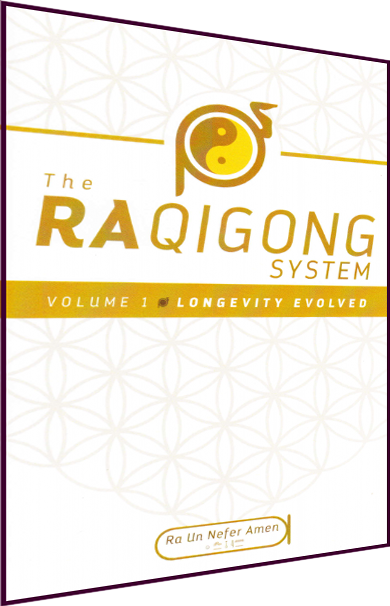 Why did I create The Ra Qi Gong System? The answer is in the fact that qigong forms are created for specific objective. Some target healing, other target specific martial arts skills, others target general athlectic abilities (strength, stamina, etc. ), and so on. Unfortunately, many teachersdo not make clear the objective of their form. The result is that many students are found in the position of one who goes to a sports trainer to develop upper body strength and is given a carido health routine. Fitness training for football players will do no good for sprinters. And fitness training for sprinters will do no good for long distance runners. When you engage in a specific qigong system you must know exactly what results you are looking for and whether the system can deliver, even if it claims to be adequate to your needs. Ra Qi Gong was created to yeild a high level of healing, vitality, stamina, mental well being, emotional stability, nervous stability, and strenght. From the testimonials that I have received, I have seen that all practitioners so far have experienced results not seen in most popular qigong systems. We have on record, complete healing of stiff and painful kneee problem, that lasted fifteen years, in just two days of practice for 45 minutes. A 20-year arthritic condition disappeared after two weeks of practice. The same goes for sciatica, chronic fatigue, mental confusion,memory problems, emotional instability, blood sugar problems, lower back pains, blood pressure problems, alcohol craving, sleep problems, etc.